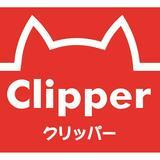 Clipper Giftshop is you ultimate destination for your unique gifs, bags, novelties, stationaries and more. Best play or decoration. Soft and comfy. Best for your children and best gift for Lilo and Stitch lovers. Your best friend when you have your trips on planes, trips, cars, and so on. It has styrofoam beads tat dry rapidly after washing.